Kids really love to see everything in cartoon theme as cartoons are the realistic world for them. 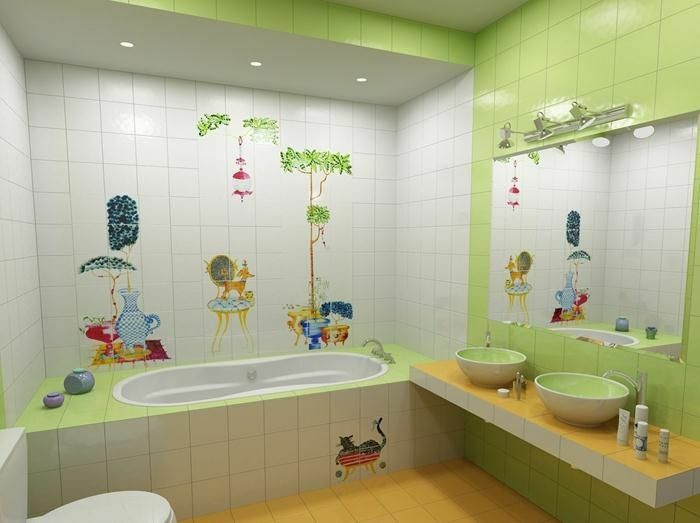 Therefore to design the bathroom in cartoon theme would be the best idea for the same. They will love to go to bathroom and will enjoy the bath. Colors play important role in kid’s life. 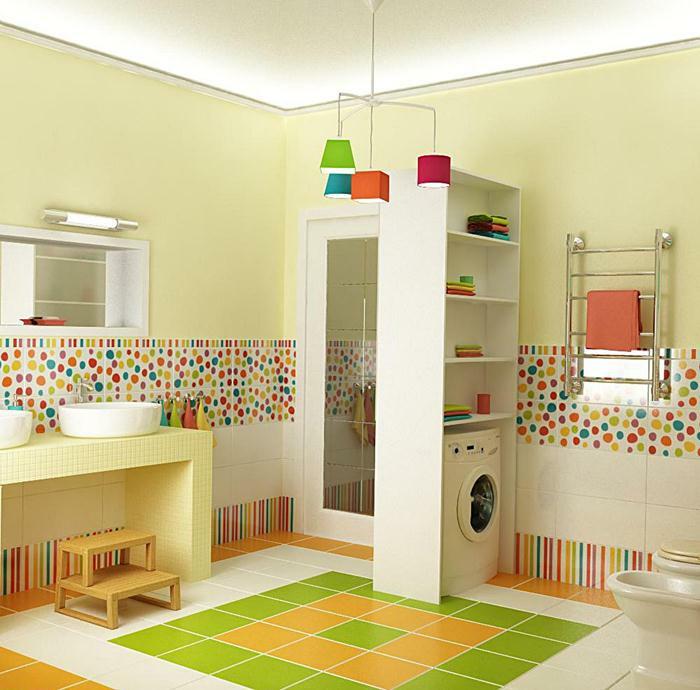 They definitely love some colors and to design your bathroom considering that color would definitely attract your toddlers. There can be contrast of two colors. Towels with print of your toddler’s favorite cartoon would the best option. They will love and enjoy using it. Towels should be personalized according to your kids. One of the important equipment of your bathroom is bath tub. 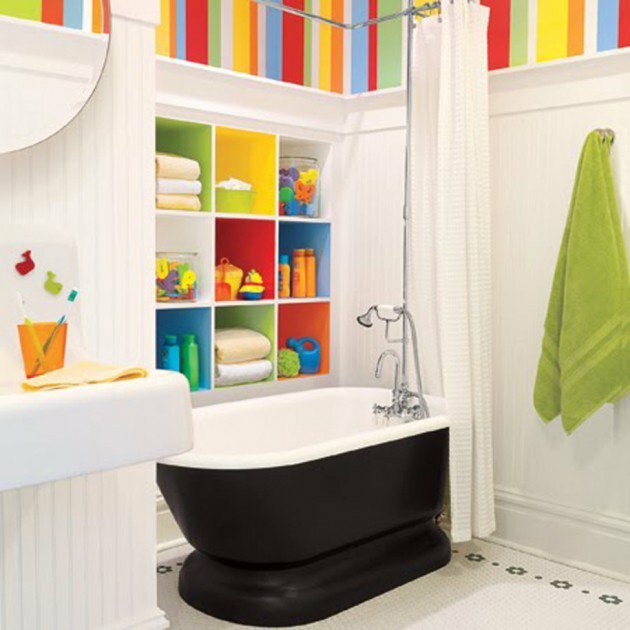 If you are looking bath tub for your kid than it should be according to your kid in size, color and should match the theme of your bathroom. Curtains are important part to maintain the privacy for your kids. It will also increase the looks of your path room. If you are choosing some theme than curtains should be based on that theme. Otherwise it can be according to the choice of your kid or with some favorite cartoon print on it. Toddlers usually like to take shower and it will increase the fun for them if it would be theme based. Like some dragon’s mouth covered shower or some cartoon based. It will be make them love to take bath with these attractive things. Container is a jar like equipment contains toothbrush and toothpaste. Kids usually don’t like to brush their teeth. Therefore it’s really important to attract them to brush. You can choose theme based container or some colorful one with some cartoon on it. Holders are used to hang the towels. Although one usually ignore the importance but you can personalized the holder for your toddlers and it will make them responsible to hang the towels on their own holders. Cabinets contains cloths and other things of your toddlers. You can make it according to your theme or have some cartoon print on it. Frames in the bathroom will enhance the beauty of your bathroom. You can add some cleanliness habit quotes or picture to the frame that can inspire them to follow the good habits.